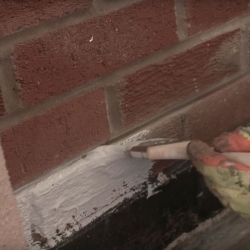 Established in 1975, Tor Coatings are one of the UK’s market leaders for specialist protective interior and exterior coatings for the building trade. 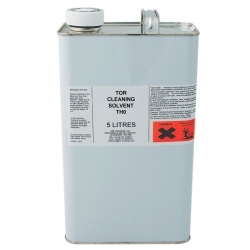 Tor Cleaning Solvent (TH0) is a blend of dimethyly adipate, dimethyl glutarate and dimethyl succinate used for cleaning of solvent based and solvent free materials from application equipment. Tor Elastamat HD (SS6000225) is a random weave chopped strand glass fibre mat for high strength reinforcement of Tor liquid applied roof waterproofing systems. 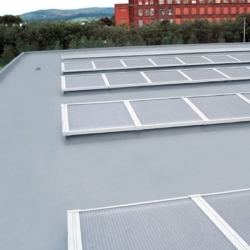 It is used as a full reinforcement on heavy duty flat roof applications and where ponding is evident, and as localised or partial reinforcement in other areas. Tor Elastamat Regular (SS6000116 / SS6000025RL / SS6000830) is a random weave chopped strand glass fibre mat (nominal 100g/m²) for the reinforcement of Tor liquid applied roof waterproofing systems. 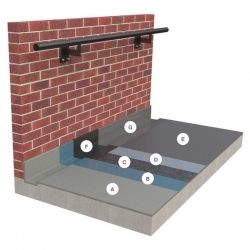 It is used as a full reinforcement on flat roof applications and where ponding is evident, and as localised or partial reinforcement in other areas. 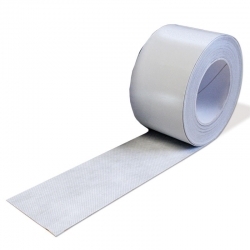 Tor Elastascrim BT is a non-flammable, butyl, rubber based, self-adhesive tape with a polymeric textile reinforcement protection fleece. Used for the bridging of roof sheet lap joints, stabilised cracks, movement joints, small gaps, abutment details etc, prior to application of Tor roof waterproofing and protective coating systems etc. Established in 1975, Tor Coatings are one of the UK’s market leaders for specialist protective interior and exterior coatings for buildings. 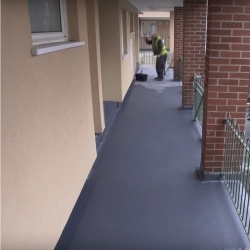 Their high performance and technically advanced liquid coatings are very popular as being both decorative and protective across a wide range of surfaces – including waterproofing roofs and balconies. 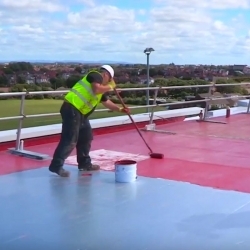 Tor Coatings offer a fantastic range of protective products for a variety of needs – from fire protective to waterproofing coatings, and anti-graffiti solutions to hygienic coatings that work to protect surfaces from harmful bacteria. Rawlins Paints are proud distributors of Tor Coatings, and are available to offer full technical and application support across their expanding portfolio. 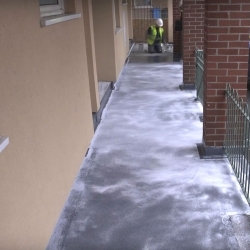 Tor Coatings, as leading protective coating specialists, cater for both the private and public sector, along with designing products to meet commercial needs within retail and industrial markets. 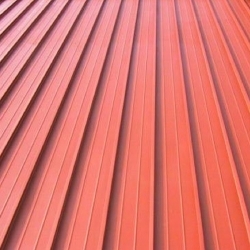 For internal and external purposes, these protective coatings for use within the building industry are applicable for walls, ceilings, roofing, cladding, fire protective upgrades, walkways, and more. 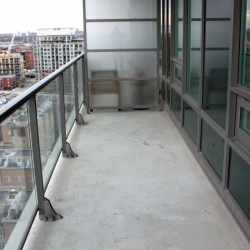 In an ever-competitive market, Tor Coatings have focused development and manufacturing of their innovative protective coatings for the building trade, with advanced liquid waterproofing systems that offer up to 25 years’ protection. 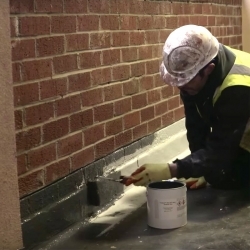 Buildings with large communal areas are catered for with specialist fire retardant paints which carry the globally recognised Certifire marque. Rawlins Paints offer full product and technical support across Tor Coatings’ range of products, so if you are a building manager, surveyor, architect or business owner, get in contact with us today to find out how Tor Coatings may be the best paint specialist manufacturer for your needs.